It was an early morning and unfortunately for me, I found out the hard way that our local Starbucks doesn’t open until 6am. I was meeting my coworker in the parking lot at 5:45am to report to Grand Rapids (about 90 minutes away) for an early meeting and when I showed up to a dark building and no time to doddle, I went into full-on PANIC mode. In desperation, I texted my coworker to tell her I’d meet her at Dunkin’ Donuts. I ordered an iced coffee and it was SO gross. I tossed it and went back to buy a hot coffee. They added too much cream AND it was barely drinkable, but…desperate times call for desperate measures. Driving without caffeine borders on dangerous (for real). We showed up with plenty of time to spare – I mean, it was still pitch black as we pulled into Grand Rapids and walked into the convention center. Have I mentioned how anxious I am for the time change this weekend? I’ll miss the evening daylight but I must say, the mornings have been sheer torture. Especially when it comes to the kids. We got back to town around 4pm and it was full-on Halloween mode. Our amazing nanny bathed the girls and got out their hair dye that Mark sent them to school in (he missed the memo that Halloween celebrations at school were…yesterday) and so my kids wore their Halloween costumes 2 days in a row. They should probably just go into a burn pile at this stage. This evening was a Halloween party (holy moly, so many kids hopped up on so much sugar!) and trick-or-treating. The party we attended included adult beverages (AMEN!) and fancy adult chocolates that included caramel and sea salt. The host did an amazing job – her theme was so well-done! Pinterest moms are so impressive! 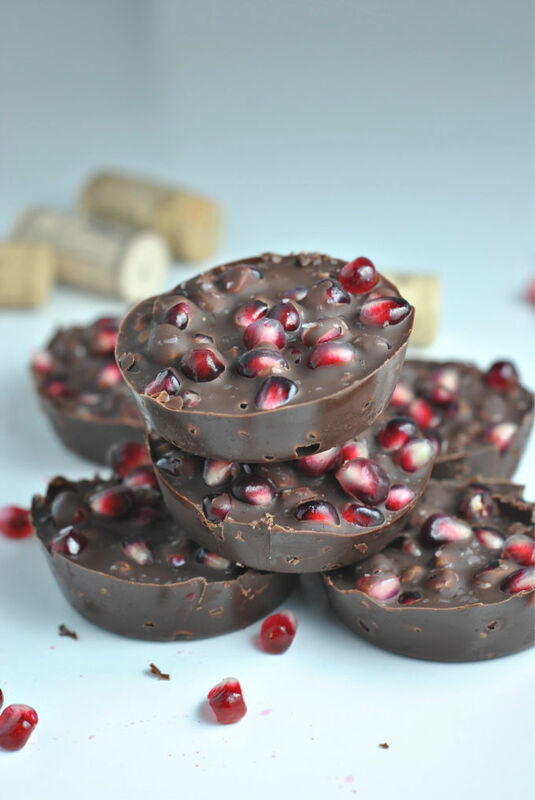 While I was snacking away on the “big kid” chocolates she served, I couldn’t help but think that these Pomegranate & Dark Chocolate Bites would be the perfect addition to a velvety and robust glass of red wine. They are tart, rich, and have lots of texture. 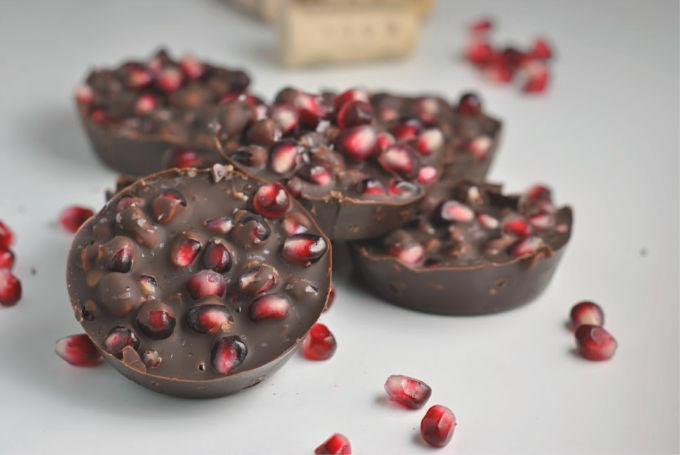 Pomegranates were $0.69 this week – it was only appropriate to make something just a little indulgent! Heat chocolate and coconut oil in a microwave safe bowl on high for 2-3 minutes, stirring every 30 seconds, until melted and smooth. 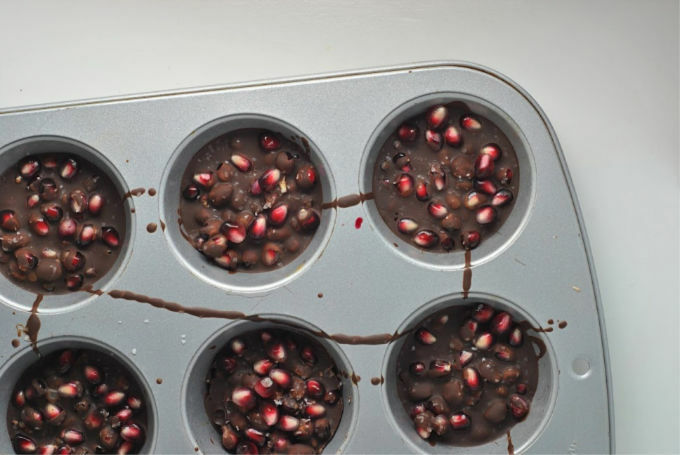 Arrange one-third of the pomegranate arils across each of 12 wells in a muffin tin. Use a spoon to drizzle chocolate over the arils and repeat the layers two additional times. Sprinkle with sea salt. 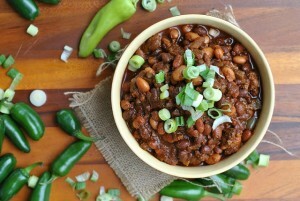 Refrigerate for 1-2 hours to harden completely. Use a sharp knife to loosen each cup from the muffin tin. 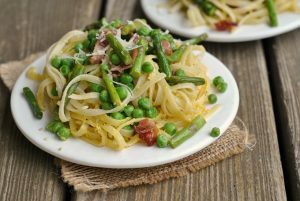 Keep refrigerated until serving. 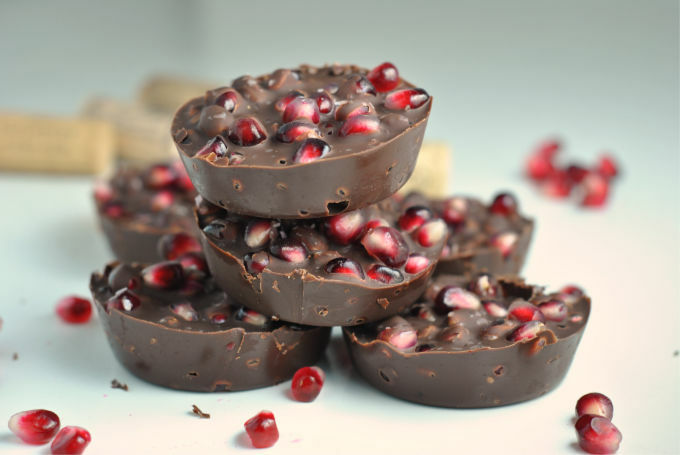 Never would have even thought about pomegranates mixing with chocolate!!! Genius! Going to show my 13 and 9 year this great mix and hopefully we can make some magic! Thank you for the journey and recipe!